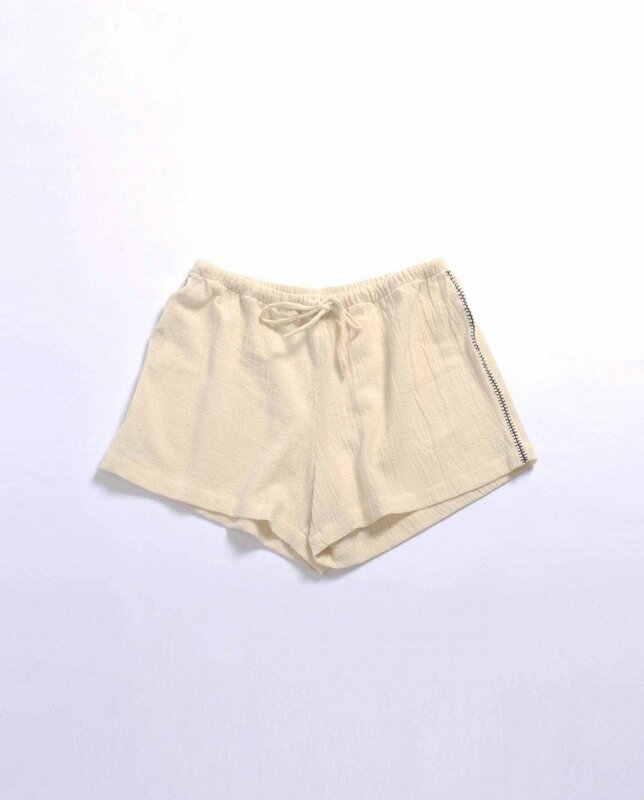 Sile Short is created by hand and designed for living in comfort from day to evening, whether at the beach, home or in town. This unique item is produced by the Sile Women’s Community Center in the village of Sile, Turkey honoring a 150-year-old craft tradition. It is tailored from hand loomed Sile fabric. The natural process gives the fabric durability and a unique soft texture. The gauzy Sile fabric breathes, touches the skin lightly, and is naturally hygienic.